Drivers using private cars for work travel are more likely than company car drivers to break driving laws. That’s the finding of new research by Lex Autolease that also highlights employers’ lack of awareness of their legal responsibilities for ‘grey fleet’ drivers. 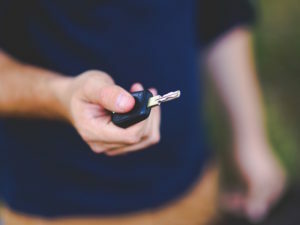 The annual independent study commissioned by Lex Autolease found that grey fleet drivers are more likely to engage in illegal behaviours while driving, including using a hand-held mobile phone or reading a map. The research, of more than 1,000 drivers, also found that grey fleet drivers are more likely to drive without correct insurance or a valid MoT, or whilst knowing that the vehicle needs some attention. And according to the results, 20% of grey fleet drivers have driven while using a hand-held mobile and almost 5% of grey fleet drivers have, at some stage, driven under the influence of recreational drugs. The study also interviewed nearly 300 company decision-makers with responsibility for managing business vehicles. A total of 33% of those surveyed believe there is no significant risk to the organisation from an employee using their own vehicle for work. And 40% were not fully aware of the employer Duty of Care regulations within the Health and Safety at Work Act (1974) and how they impact the grey fleet. Coley added: “According to figures from the Department for Transport, tragically almost 2000 people are killed on our roads every year. Of these, it is estimated that around 25 to 30% are due to accidents involving drivers on work journeys. Employers have a legal and a moral responsibility to ensure that their drivers and vehicles meet all legal requirements.